When it comes to polishing a floor, there are two important things to remember. These are to set the customers’ expectations and start with the end result. But many contractors don’t know what polished concrete is, and the steps to create the expected end result. overheating and glazing. This ensures better longevity and higher productivity for the tool. 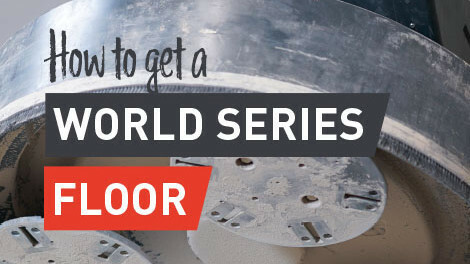 The World Series metal tools are available in four different bonds for soft, regular, hard, and super-hard floors. There are both single and double tools and all are available in in four different grits: 16/20, 30/40, 60/80, and 140/150. The World Series ceramic tools are specifically designed to transition from a metal diamond to a resin polishing tool. The unique low - profile design and high crystal density allow these tools to contour to the surface while achieving maximum refinement at the same time. 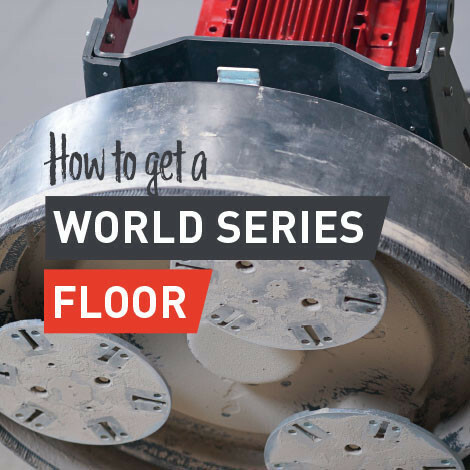 The World Series ceramics can also be used as the first step for a cream or salt/pepper finish, eliminating the need for a metal tool. Soft and Medium bonds are available for different concrete hardness, and all feature very high diamond concentrations. Five grits are available: 50, 80, 100, 200, and 400. The World Series resins are designed to achieve the final mechanical refinement on the surface, usingdiamond powders bonded in a resin matrix. The World Series resins are engineered to transition from a honed surface to a highly polished surface with minimal steps. Seven grits are available: 50, 100, 200, 400, 800, 1500, and 3000.